Updated in 2015, this deluxe one-bedroom one-bathroom is the perfect mixture of modern island styles. 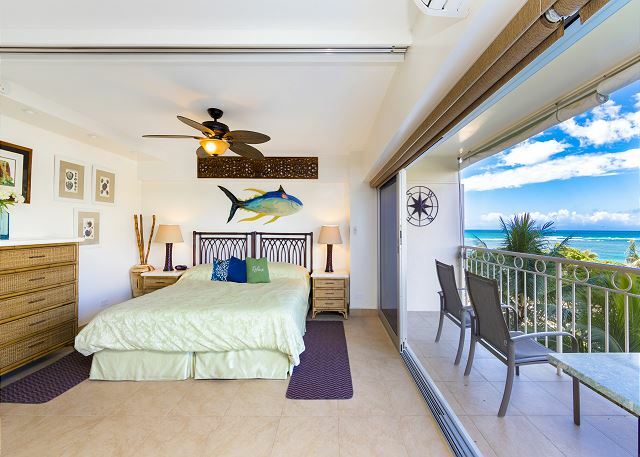 You’ll go crazy over the Waikiki beach Pacific Ocean views from your furnished lanai. This unit has a full-size kitchen with stainless steel appliances, includes a refrigerator, stove/oven, dishwasher! The suite is also furnished with a dining area, desk, a living room with comfortable seating for four to six a flat screen television. 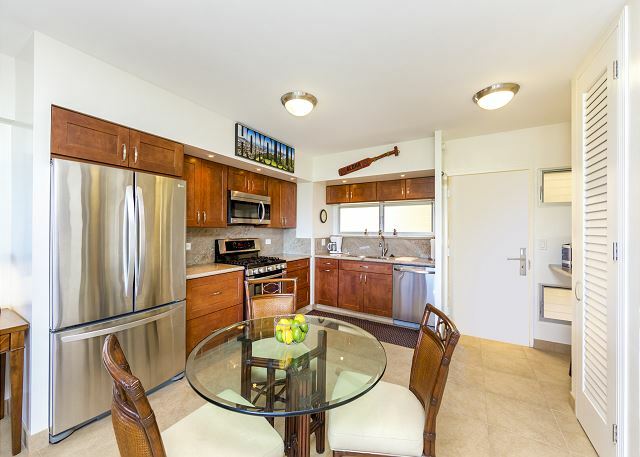 The suite comes with a washer/dryer, shower/tub, air conditioning, WiFi.Waikiki Shores is the only beachfront condominium in Waikiki, offering views of the Pacific Ocean, iconic Diamond Head, Fort Derussy Park. 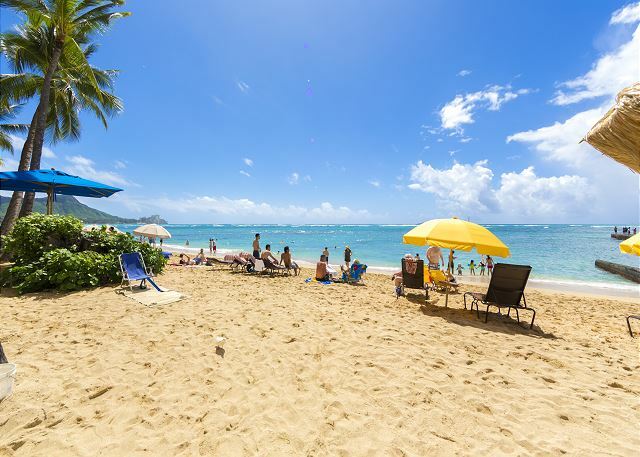 You are walking distance to Waikiki’s famed beach activities, fantastic restaurants, nightlife, cultural activities. Condo amenities include an activities desk, daily housekeeping, secured entry, shopping, and walking distance to plenty of restaurants nearby. This condo was wonderful!! It was in a perfect location, had great floor space, included all the amenities needed, and what a fantastic view! Communication with the company was great, the check-in process was smooth, and they were VERY accommodating with our check-out request. We felt like it was truly our home-away-from-home!! We stayed in this beautiful property for 15 days. It was clean, great views from the lanai, and well stocked. We appreciated the beach umbrella, chairs, towels, and boogie board. The pictures truly represent this gorgeous condo. We spent many hours reading on the lanai and watching the surfers and boats. We will definitely try and book this unit when we come back. Waikiki beach was truly wonderful, but it was the room that really exceeded my expectations. And I had high expectations. First, having the entire wall of glass doors open up was like being on the beach even when I was in the room. Everything was great. It even came with a beach chair and many other amenities that I never expected. I had planned to do a lot of things while on Oahu, but I never got to them because I was having such a relaxing time in the condo and at the beach. And I mean at the beach. the condo is right on the beach. Everything about the stay was a "10." Very nice location and view over the park and ocean. We enjoyed the beach supplies,chairs and umbrella. The unit was very well equipped. Also enjoyed our extended checkout,as our flight wasn’t till midnight. The condo was clean, well appointed and accurately described in the listing. A stunning view, great location, clean and comfortable accommodation. Easy beach access. Didn't want to leave! Short walk to great restaurants, bars and shops. 5 night stay in Waikiki, staying at Waikiki Shore #508 Apartment/Condo is fantastic! Gorgeous place, fantastic view, great location! This place is beautiful and Yusuke was so helpful when we checked in. The location was so convenient and the view is to die for. The full kitchen and the washer and dryer made our stay SO much easier. We are from Alaska so good air conditioning was important and this room is very easy to cool. I would definitely return! The condo was exactly what we expected from the pictures and the management company very accommodating. I would advise that it is not super clear though that the two major things that are not included may be deal breakers for those with children or accessibility issues. First, there is no parking space available. You have to make your own arrangements with local garages which can be very expensive and require a few block walk to get to your car. Second, there is no pool. However the condo is right on the beach and that is awesome! We had a wonderful, relaxing vacation in this lovely, well maintained condo. My wife & I travel a lot and this is the first time renting a condo. This experience was awesome. Condo came exactly as advertised. Very clean, modern, with everything we needed. Beautiful view of water, palm trees & the sunset right off our balcony. Mr. Takaya was a true gentleman, insisted on picking us up after finding we would have to walk a short distance with our backs, no charge & would not accept a tip. We stayed at Waikiki Shore for 7night. This place is as you see it. 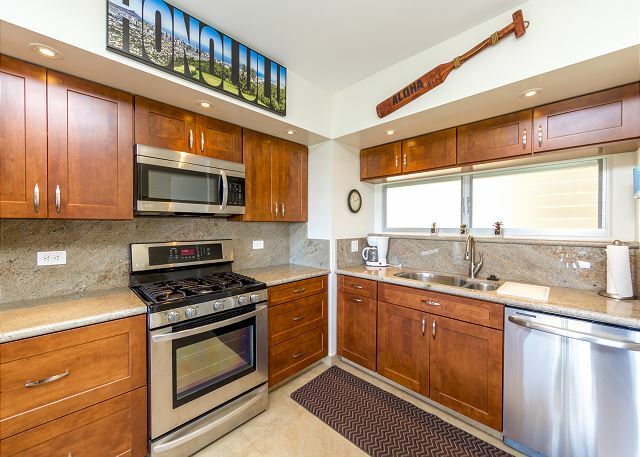 Great location as it's located in the center of Waikiki (walk to restaurant and shops) beach is right in front - no need to cross a street & public paid parking lot across the street. It's clean! The shower is a bit outdated but no complaints. You can see the Friday fireworks from your lanai and just people watch. If we were to stay in Waikiki again, we would definitely pick this place. Very good unit, wonderful view, perfect location. A special thanks to the property manager who has been very helpful and effective after the cancelation of our return flight. Since room had washer and dryer, was very convenient. In the morning when we woke up different kinds of birds comes to our balcony and greeted us. There was small issue with kitchen hardware and show nozzle, which property manager took care of it in very prompt time. Overall our family was very satisfied and had great time. p.s. Another positive is we used uber and Lyft, very convenient for pickup and drop off. Entire week we stayed didn't rent the car. Karen M from Killarney vale, NSW does not recommend this vacation rental. My family loved this unit,it was very clean and well stocked with everything we needed.The bed was very comfortable and the deck and view were amazing.I highly recommend this unit and will definitely stay again. WOW! Awesome place with an Awesome view! Hi! This is Matt and Dee. Our stay at Waikiki Shore room #508 was fabulous! Yusuke ensured he had our flight info to personally meet us for early check-in The room was big, clean, very well stocked, near EVERYTHING (no car needed at all), and literally steps to the beach. Easy to walk to ABC Store to pick up food to cook for breakfast the next morning. We had a perfect view of the Friday night fireworks from the bed and lanai. It was great to be able to wash our clothes. And even better to utilize the Outrigger facilities next door. We had an absolutely fantastic time and will definitely reserve this place for our visit next year! Mahalo! My husband and I really enjoyed our stay at Waikiki Shores. The unit was exactly what the pictures show and location was great able to walk to everything even the grocery store! Drinking coffee on the lanai and watching the sunsets was very relaxing just what we needed. The management company was very professional and helpful with providing us with a company to store our luggage and transportation to the airport on our departure. Waikiki Shores is the only place I look to stay when in Oahu! This property was clean, is updated and the bed is very comfortable. I wish I had a home like this! Trolly stops, popular restaurants, Eggs'n Things, Shopping Centers, Starbacks... all walking distance. We enjoyed our breakfast at lanai every morning looking at Waikiki beach. As I have a fear of heights, 5th floor was just what I wanted. We enjoyed our stay at the condo. Right on the beach with an amazing view from the large lanai. Great location and comfy bed! Only suggestion would be to maybe have a complimentary bag of coffee with sugar/creamer upon arrival. Mahalo! Great room with an excellent view of Waikiki Beach and the Ocean-would stay there again! Have just stayed in this rental and loved it. It was very clean and spacious with nice little touches added. Our teenage children slept on the pull out sofa and said it was comfortable. One bathroom for 4 of us was a little challenging at times but certainly doable. We would definitely stay here again and would recommend it. What else would you wish you for! The location was fantastic, the place as spotless. My children and I had a great time. I would come back and rent this place again. Thank you Chloe for being wonderful. You always wish for a longer stay on vacation and this was no different! Being right on the beach is so nice and convenient, with shops and restaurants within walking distance which we throughly enjoyed!! We walked everywhere!! We shared the condo with my son & his girlfriend and it never felt crowded. We arrived late evening - Chloe met us in the lobby and quickly showed us around... Enjoyed drinking our morning coffee on the lanai facing the ocean, the bed was comfortable as well as the pull out sofa says my son. It would be nice to have a journal book in the unit listing places nearby, bus and trolley info. Overall it was great and I would stay here again.